It is possible Royal Caribbean is considering offering guests a new type of balcony stateroom that offers a convertible indoor/outdoor space. 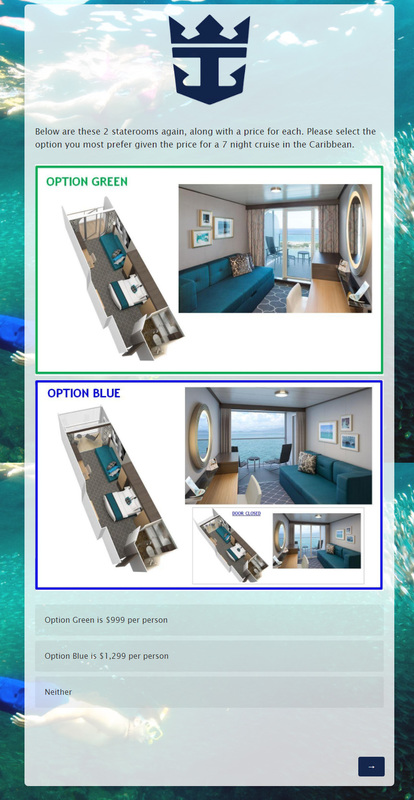 Email surveys have been sent to past Royal Caribbean cruisers asking them to compare two types of balcony rooms and evaluate interest in each. "Enjoy convertible indoor/outdoor living space with Option Blue. 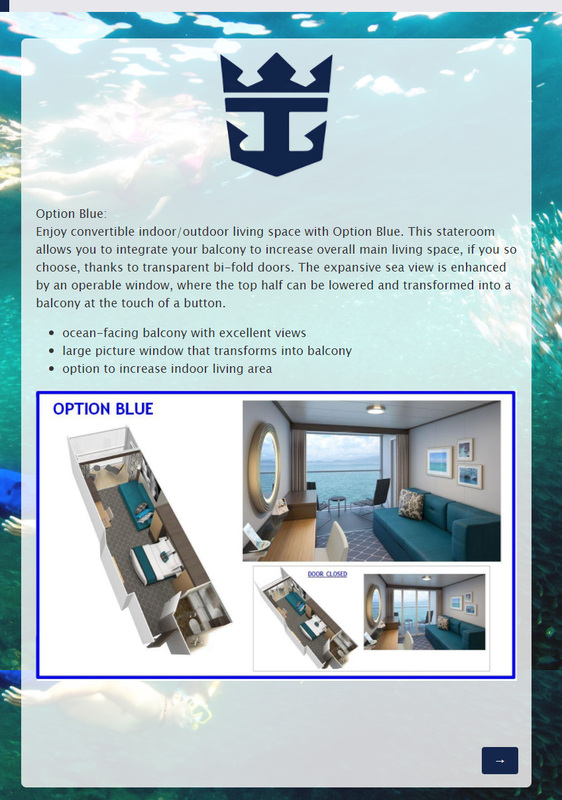 This stateroom allows you to integrate your balcony to increase overall main living space, if you so choose, thanks to transparent bi-fold doors. The expansive sea view is enhanced by an operable window, where the top half can be lowered and transformed into a balcony at the touch of a button." 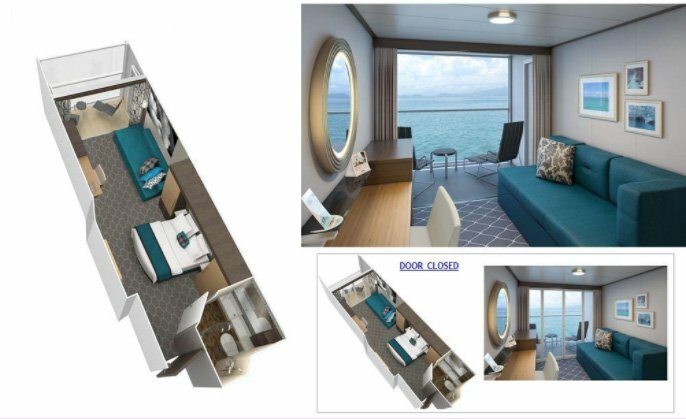 This balcony option sounds very similar to Celebrity Cruises' Infinite Verandas feature that was announced last year for the Celebrity Edge cruise ship. It is not uncommon for Royal Caribbean International and Celebrity Cruises to borrow from each other, since they are sister companies owned by parent company Royal Caribbean Cruises Ltd. It should be noted surveys sent by Royal Caribbean to the public are means of which to evaluate interest in potential offerings, and do not necessarily reflect a decision made to offer anything yet.